Eric D. Ferrara, DDS, a Board Certified Oral & Maxillofacial Surgeon, places more dental implants in ONE month than most place in ONE year! He has been placing dental implants for 18 years and counting! Take advantage of this limted time offer! Details: Normally $2,800. NOW for a limited time at $1,400. You can’t find a better price for dental implant surgery in Atlanta, let alone Georgia! Both have a crown (the visible part used to chew food). Both have a root that holds the tooth securely under the gum and is anchored into the jaw. The difference is that the implant is made of titanium – the same time-tested material used by surgeons for artificial joints. When you lose a tooth, you lose both the root and the crown. To replace the tooth, the surgeon first replaces the root with a small dental implant. Time is allowed for bone to heal and grow around the dental implant. The bone bonds with the titanium, creating a strong foundation for artificial teeth. A support post (abutment) is then placed on the implant and a new replacement tooth (crown) is placed on top of the abutment. In many cases a temporary replacement tooth can be attached to the implant immediately after it is placed. If all of your teeth are missing, a variety of treatment options are available to support the replacement teeth. Using the most recent advances in dental implant technology, Dr. Ferrara is often able to place single stage implants. These implants often do not require a second procedure to uncover them before artificial teeth are placed. There are even situations where the implant can be placed at the same time as the tooth extraction – further minimizing your number of surgical procedures. Dental implant placement is a team effort between an oral and maxillofacial surgeon and a restorative dentist. Dr. Ferrara performs the actual implant surgery, initial tooth extractions, and bone grafting if necessary. The restorative dentist (your dentist) fits and makes the permanent crown. Your dentist will also make any temporary crown needed during the implant process. 5 out of 5 stars based on 53 Dental Implants reviews. Love that Dr Ferrara always tell me what he's doing, so I know what to expect, help with the nervousness, very little pain which was great! Very pleased with Southern Oral Surgery. So glad to finally get this drone. Dr. Ferrara is great!. I couldn't believe how easy both procedures were and the short amount of time they took. I had no pain after the extraction and no pain after the implant. I would highly recommend Dr. Ferrara! Made me feel very comfortable! Dr. Ferrara was great. He thoroughly explained the multi-step process to my father. He walked away feeling confident and assured he came to the right place. Great work on implant I had, only complaint is wait time can be long at times. Although I'm only half way through my implant process, it has been very easy, all questions have been answered and any concerns were put to rest immediately. Doctor consulted with me prior to implant surgery,explaining the procedure and allowing me to ask any questions. I felt quite informed and prepared for this procedure. Staff was gentle and very accommodating. Appreciated them. I am very happy I came here Dr Ferrara and his staff are amazing! Dental Implants are normally $2,800. 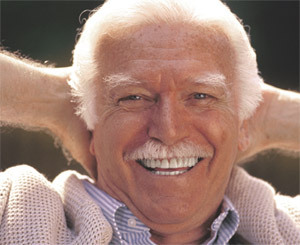 We are offering half off dental implants for a limited time at $1,400. Take advantage of this offer. You can’t find a better price for dental implant surgery in Atlanta, let alone Georgia!